April 11, 2018 11:59 am. 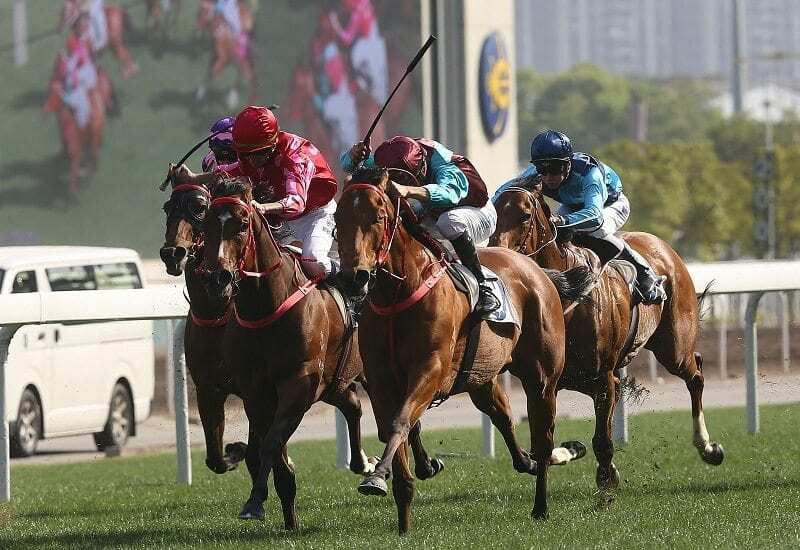 Champions Day at Sha Tin Racecourse on 29 April will for the first time bring together on one race day the Chairman’s Sprint Prize, Champions Mile and Audemars Piguet Queen Elizabeth II Cup, three world class Group 1 races worth a combined HK$58 million. Mr. Andrew Harding, Executive Director, Racing at the Hong Kong Jockey Club, said: “This year, the APQEII Cup will be one of three Group 1 races on the inaugural Champions Day, and the quality of selected runners places this fixture near the top of the international calendar. “Champions Day will be an exciting event with high-class runners from Japan, Ireland, the UAE and Hong Kong, 11 of them Group 1 winners already. The HK$16 million Chairman’s Sprint Prize (1200m) is in its third year as a Group 1 contest and last year ranked 34th in World’s Best 100 Group 1 Races, making it Hong Kong’s highest-rated race. A field of 12 top-class sprinters is slated to go to post, including the best from Hong Kong and Japan, and leading speedsters from Europe. Hong Kong’s Mr Stunning was runner-up to Lucky Bubbles in this race last year and has gone on to win the Group 1 Hong Kong Sprint (1200m) this term. A rematch is on the cards, with both among the selections, alongside Group 1-placed Beat The Clock and the exciting rising talent, Ivictory. Mr Stunning, Beat The Clock and Ivictory, as well as Amazing Kids and Thewizardofoz, hail from the stable of Hong Kong’s champion trainer, John Size. Beat The Clock registered the second-fastest final 400m split of all-time at Sha Tin when he landed the Group 2 Sprint Cup at the course and distance on 8 April. Fine Needle ascended to the top of Japan’s sprint ranks with victory last month in the Group 1 Takamatsunomiya Kinen (1200m), defeating Let’s Go Donki. That breakthrough elite win augmented the five-year-old’s success last year in the Group 2 Centaur Stakes (1200m). Godolphin’s Blue Point has placed three times in Group 1 company and was among Europe’s top bracket last term. Having beaten subsequent champion sprinter Harry Angel at Group 3 level last May, the Charlie Appleby-trained colt rounded out the 2017 campaign with a Group 3 win over six furlongs at Ascot, and posted a smart effort first-up this season when second in the Group 2 Meydan Sprint (1000m) in Dubai. Ireland’s champion trainer Aidan O’Brien is set to send Group 1-placed Washington DC. The five-year-old Group 1 winner has twice placed at Group 1 level, including when less than a length second to Marsha in the 2016 Group 1 Prix de l’Abbaye (1000m). The bay was a good fourth in the Group 1 Al Quoz Sprint (1200m) at Meydan last month. Peniaphobia, winner of the 2015 Group 1 Hong Kong Sprint, Winner’s Way and Not Listenin’tome complete the Chairman’s Sprint Prize entries. The 12 selections for the HK$18 million Champions Mile feature Hong Kong’s best milers and Ireland’s Lancaster Bomber from the O’Brien stable. Lancaster Bomber has placed second five times at Group 1 level, including when behind World Approval in last season’s Breeders’ Cup Mile at Del Mar. The line-up also includes the current Hong Kong season’s two in-form Group 1 milers: the John Moore-trained Beauty Generation secured the Hong Kong Mile in December and followed up with an elite win in the Queen’s Silver Jubilee Cup (1400m); Seasons Bloom snared the Stewards’ Cup for the Danny Shum stable in January under Joao Moreira. Last season’s Champion Miler and Champions Mile runner-up Beauty Only bounced back to form on 8 April with a win in the Group 2 Chairman’s Trophy (1600m). Also among the selections are a clutch of exciting horses on the cusp of a Group 1 breakthrough: the high-class greys Fifty Fifty and Pingwu Spark, as well as Southern Legend and Western Express, and a leading light from the four-year-old division, Hong Kong Classic Cup (1800m) winner Singapore Sling. Two-time Group 1 winner Helene Paragon, the talented sprinter/miler Blizzard and the Group 1-placed Joyful Trinity complete the entries. The 11 APQEII Cup selections feature three overseas runners, Japan’s 2017 Group 1 Satsuki Sho (2000m) winner Al Ain and third-placed Danburite, as well as Group 2 winner War Decree from the Aidan O’Brien stable in Ireland. Time Warp, winner of the Group 1 Hong Kong Cup and Group 1 Hong Kong Gold Cup at the course and distance this term, and sensational Hong Kong Derby hero Ping Hai Star, head the home contingent for the HK$24 million feature. The enigmatic talent Pakistan Star is also among the entries.